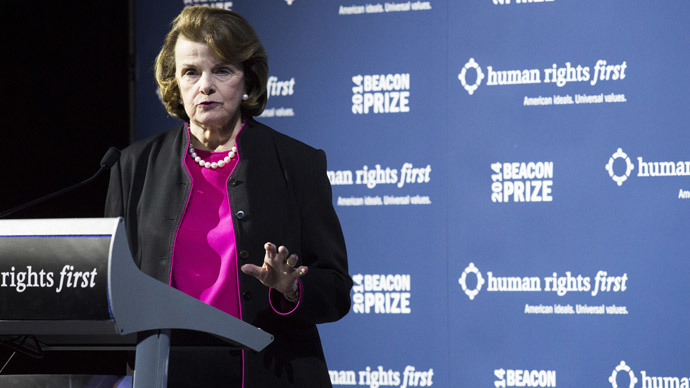 An in-depth investigation into vital unanswered questions raised by the US Senate’s startling report on CIA torture and rendition has been launched in the UK. The probe is aimed at addressing crucial gaps in public knowledge, which linger in the wake of White House and CIA censorship of the Senate report. The investigation is a collaboration between Britain’s Bureau of Investigative Journalism and a university research initiative called the Rendition Project. It is backed by the Freedom of the Press Foundation (FPF), one of the most prolific organizations promoting press freedoms worldwide. In an effort to drive and sustain the project, the FPF has launched a large-scale crowd-funding venture aimed at securing funding. The US Senate Intelligence Committee released the explosive report on the CIA’s rendition and torture program in December. The document, which provided a summary of the findings of a Senate Committee investigation into CIA torture, was approximately 525 pages long. It described how detainees in covert CIA prisons across the globe were subjected to “enhanced interrogation techniques,” which included brutal beatings, “rectal feeding,” threatening family members and forcing detainees into coffin-sized confinement boxes for many hours at a time. Following the report’s December 9 release, the CIA defended the program, arguing it handled affairs as well as could be expected in the wake of the 9/11 terror attacks. Many critics warn the Committee’s report, and its glaring evidence of human rights transgressions and potential legal infractions, will have little impact and has already been forgotten. The Bureau of Investigative Journalism and academics behind the Rendition Project say they have launched their joint investigation to prevent this from happening. They say their project will ensure the evidence uncovered by the Committee’s report is not whitewashed, and further details of the 119 detainees who were forced to endure the abuses of the CIA’s rendition program are uncovered. In late December, nine leading human rights NGOs urged Prime Minister David Cameron to honor his pledge of conducting a fully independent, judge-led inquiry into UK involvement in CIA torture. Clare Algar, executive director of UK human rights group Reprieve, said at the time that the degree of UK complicity in the CIA program remains unclear. “We have still not had a clear answer on the involvement of the UK government in this shameful episode. That is why we need a fully independent inquiry, with the powers it needs to get to the truth,” she said. Preliminary research carried out by the Bureau, headed by torture and rendition expert Crofton Black, indicates only half of the 119 detainees named in the CIA torture report were known to the public prior to its release. The Bureau and Rendition Project’s investigation will seek to uncover precisely who these prisoners are and what has become of them. The probe will also examine what was redacted in the final Senate report and why, and what information remained buried in the 6,000 pages of unreleased content. In recent years, the Bureau has carved out a reputation for penetrative, hard-hitting investigative reporting on a range of issues pertinent to national security. The Rendition Project, run by UK terrorism experts Dr Ruth Blakeley and Dr Sam Raphael, has gathered large amounts of information to date on the US government’s illegal transfer of prisoners, as well as its torture of detainees. Despite searing worldwide criticism provoked by the Senate's report, the CIA appeared to leave its options open as to whether “enhanced interrogation” would continue in some form in the future. While CIA Director John Brennan confirmed at a news conference in December the body had no plans to re-start the detention program, he indicated the intelligence agency would “defer to the policymakers” with respect to future operations.